Recent footage from inside detention camps in Libya shows people being forced to live in abysmal conditions. Frequently locked in dark rooms and denied food, water and medication, some are reportedly resorting to drinking toilet water to survive. On top of this, there have been disturbing accounts of torture and abuse at the hands of people traffickers. The people in these camps are being held indefinitely and against their will. 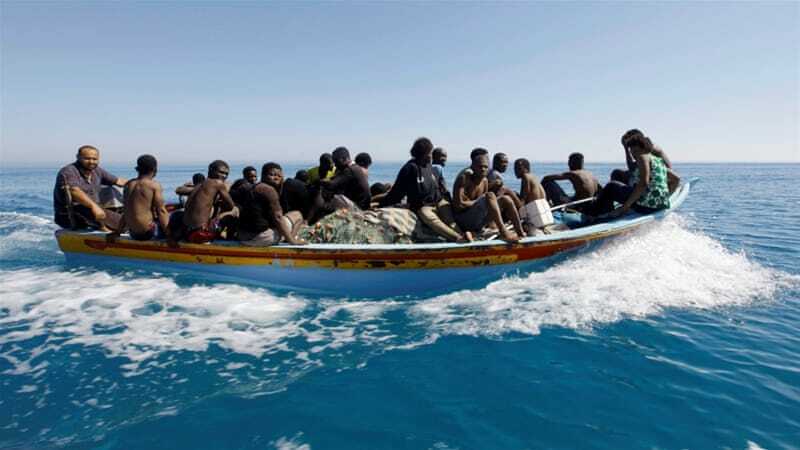 Most of them were intercepted and arrested by the Libyan coastguard as they attempted to cross in to European waters in the Mediterranean Sea, a process which is receiving full support from the EU (via a deal of tens of millions of euros between Italy and the Libyan coastguard) as a way of outsourcing control over people migrating to European countries. It is true, as EU leaders claim, that numbers of arrivals on the shores of Europe are dropping, but what these leaders fail to mention is that this is not because fewer people are making the journey in the first place. This is because these people – men, women, unaccompanied children, entire families – are instead being stopped in Libya and subjected to unbearable treatment for months on end. In the two years that have passed since the EU-Libya deal was agreed, refugees and migrants have been dying in Libya as a direct result of EU policy. Channel 4 has produced this ten-minute piece with footage obtained from people who have managed to hide mobile phones in their cells. Please be aware that the video does contain distressing content. Both Human Rights Watch and Amnesty International have publicly condemned the conditions in Libya, and last month many major international organisations published an open letter criticising EU leaders for their inaction in the face of such a tragedy.